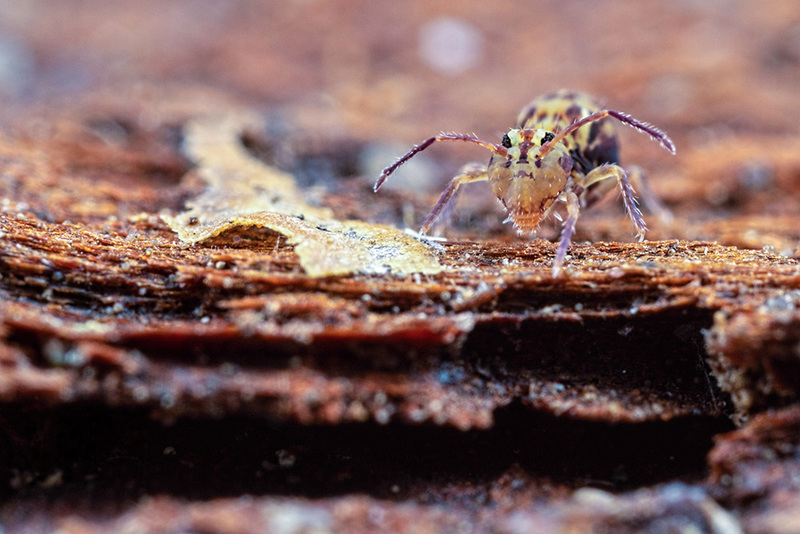 At this time of year in the UK, I find the best place to find wild things to take macro photos is under old wood and bark. 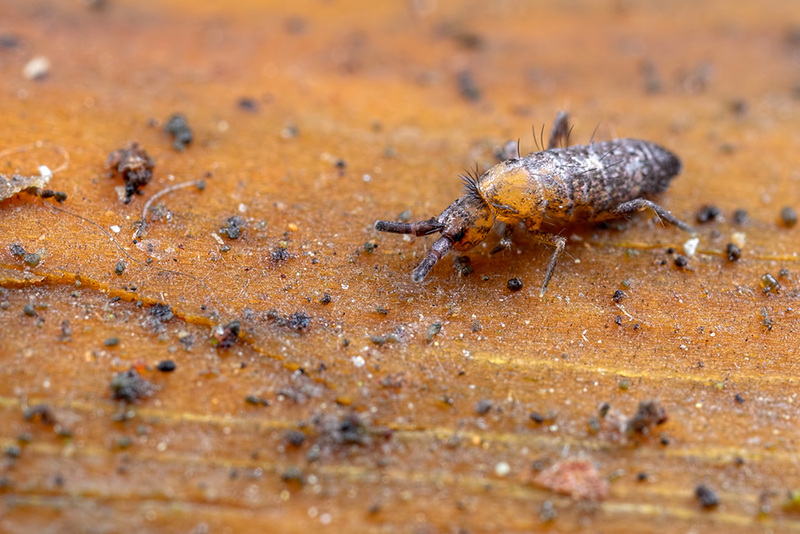 So I took a trip to Ramsdown Wood, near Hurn to go see what I could find. 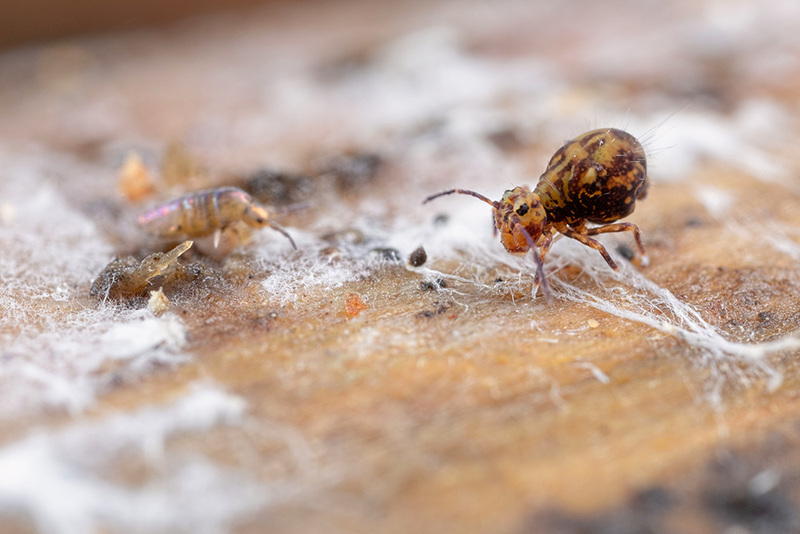 I went with my Canon 5D MKIV and 1-5x macro lens ( Canon MPE-65mm ) to take the small things that I normally find there. 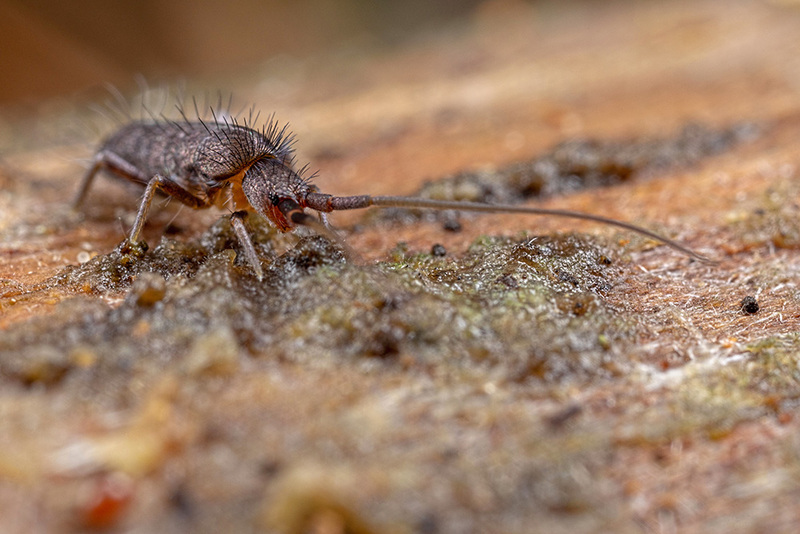 To shoot these things at high magnification I need to use flash – which my Yongnuo twin flash with home made diffusers provided on this occasion. 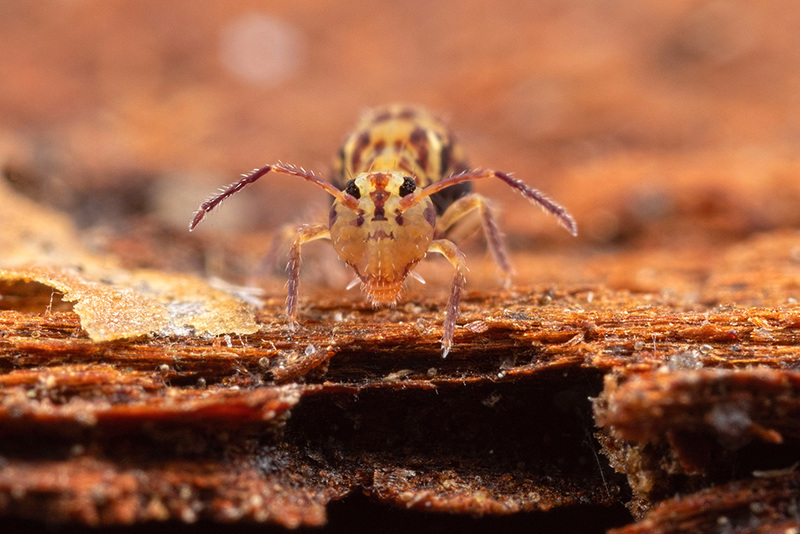 The most common thing that I find to photograph are springtails. And normally the elongated ones are the most common. 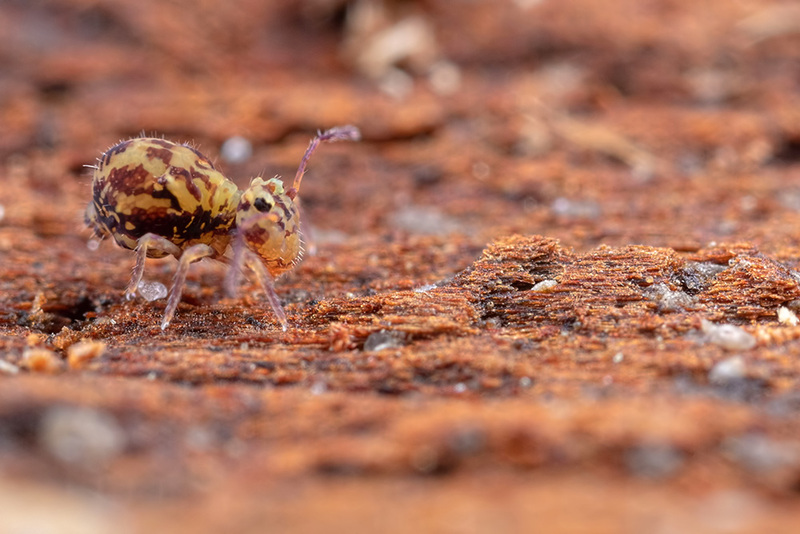 However for a change it was the globular springtails that I took the most images of. I like finding these as they have an almost human like face on their heads. 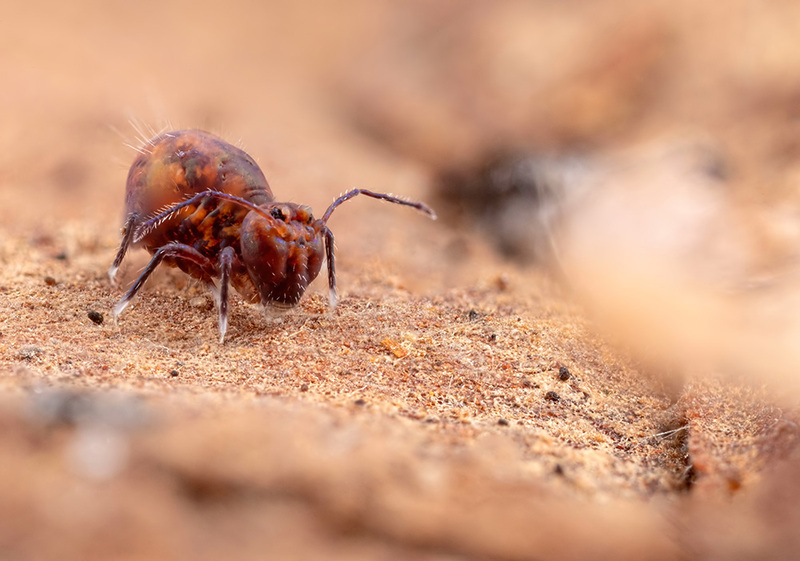 I got fortunate with a purple one as it stayed still allowing me to get a stack of it at 5x magnification ( 8 images are combined in this image – I used Helicon Focus 7 for this stack). Here is it almost side on too. Also stacked this time in Photoshop. The other globular that I managed to stack was this more yellow one. 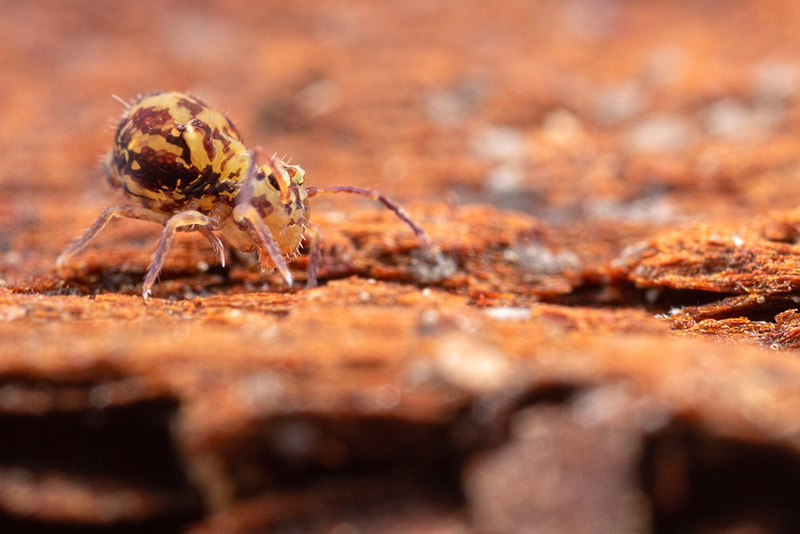 The remaining globular photos below are all single shot images. 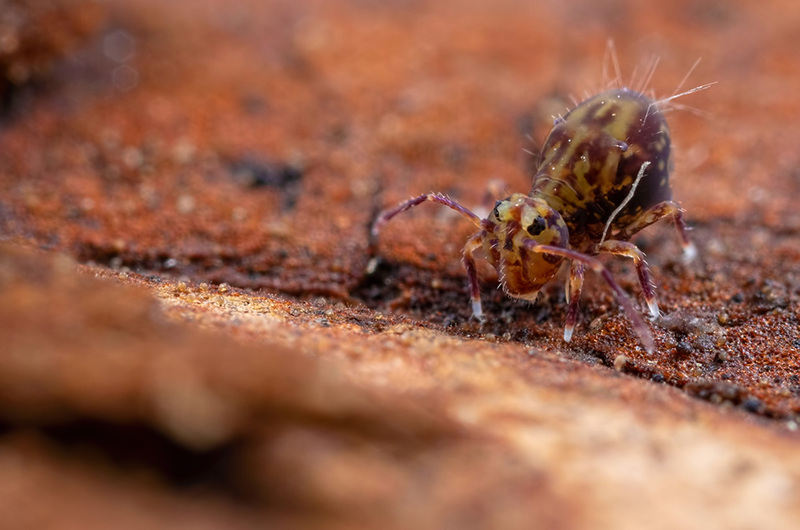 The image above has an out of focus Elongated-bodied springtail. As I mentioned earlier – these are the ones I more commonly find. And I did take some of this type too. 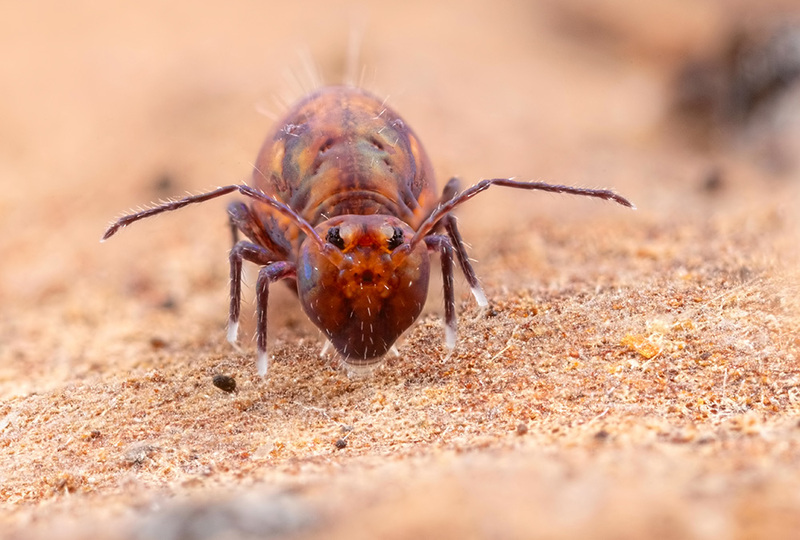 Including this one at 5x magnification. The image is uncropped. 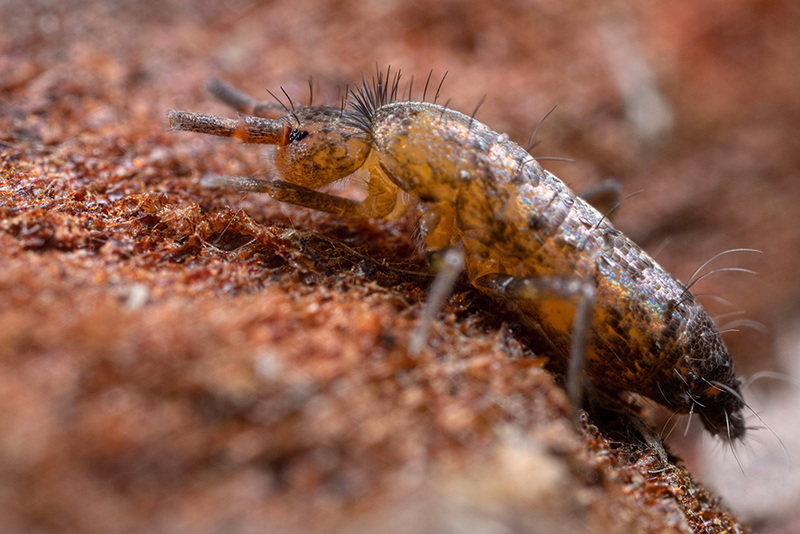 Whereas this image of the subject taken at around 2.5-3x magnification – is cropped a bit. You can see from the comparison the difference increasing magnification makes on the subjects size in the frame. 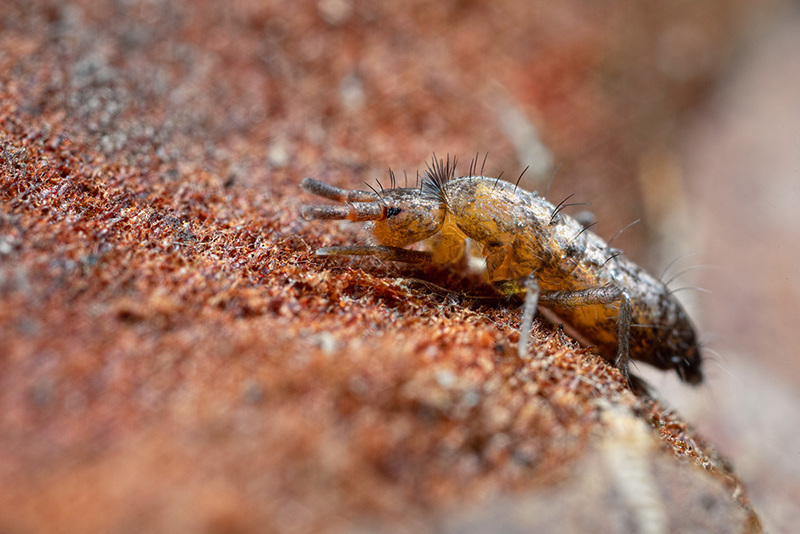 Here are a couple more different Elongated-bodied springtails. 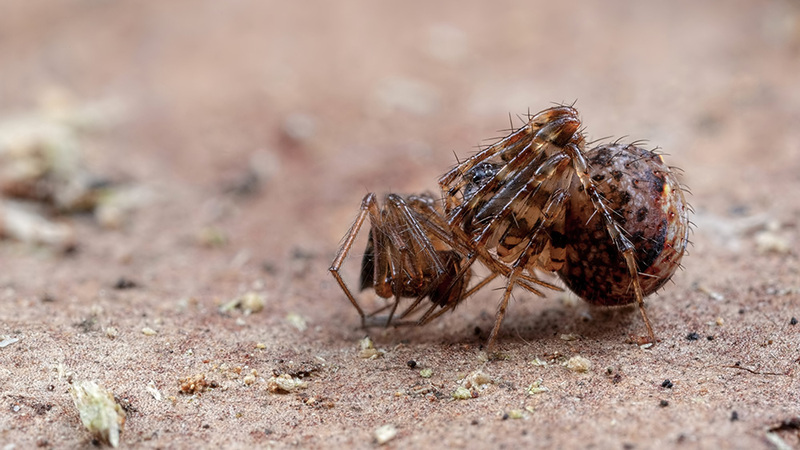 Finally the other thing I found was this small spider with prey – I think another spider. Both these images are stacked. The first at F11. And this one at F9. I prefer this one personally.